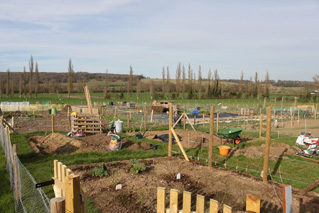 Purley on Thames Parish Council provides garden allotments for the benefit of local people. Currently there are some 100 allotments located on the north side of the railway tracks accessed via Winston Way (off Nursery Gardens). Allotment holders grow a wide variety of first-class crops on their well-tended allotments. A piped water supply to convenient points supplements tenants’ own storage tanks. Vehicle access to the site is possible. A resurgence of interest in allotment gardening has meant that demand for allotments is high, and despite the fact that we were able to increase the number of allotments available in 2011, there is currently a small waiting list. All allotments are rented annually, with the allotment year running from 1 October to 30 September each year. We provide half allotments and quarter allotments, a half sized plot is approximately 33ft by 40ft. There are also four new micro plots for those who might like an introduction to allotment gardening, or who would struggle to maintain a larger plot. 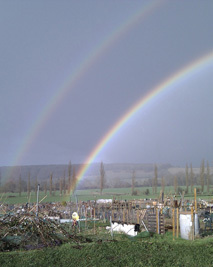 Allotments are allocated on a first come basis, with precedence being given to applicants who live in Purley on Thames. A second plot will be allocated to an existing tenant only if there is no one else on the waiting list. Applicants should be aware that it may take some time before a plot becomes available. While there is a waiting list we will offer plots only to new applicants; second plots will be allocated to existing tenants only if there is no one else on the waiting list. The Parish Council regularly reviews the current state of all the allotments. or use our Assistant Clerk contact form. # No change will be made to those qualifying for a concession prior to 1st October 2014. * Will be revised annually so that it aligns with the state pension age for women.